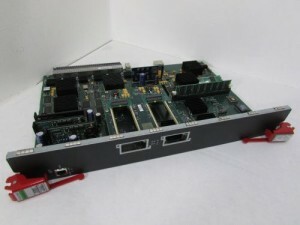 Enterasys 7KR4290-02 2 10G PORTS Matrix E7, N7, N5, N3, or N1 in Stock! Enterasys 7KR4290-02 for US $7,990.00, used in good, working condition with a 90 Day Warranty. For any questions you may have about this equipment, please feel free to call me @ 877.650.4041 . I am available to answer your questions 8-5 PST. 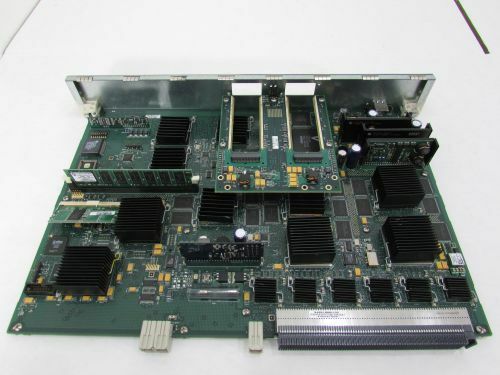 Description : Enterasys Networks 7KR4290-02, Matrix N-Series Diamond DFE with 2 10-Gigabit Ethernet 10GBase XenPak optics slots. The Diamond Distributed Forwarding Engines (DFEs) are the latest innovation for the industry-leading Matrix N-Series flow-based switches. The new blades deliver increased security, routing, and policy scalability for backbone roles in the core and distribution layers of your network. The Diamond DFEs’ flow-based architecture delivers end-to-end visibility and control over users, services, and applications, as well as firewall-like security on every port for downstream devices through multi-user, multi-method authentication, authorization, and audit. Optimized for Secure Networks deployments, Diamond DFEs significantly increase the multi-user policy capacities of the Matrix N-Series. This increased capacity enables the Matrix N-Series to act as a policy gateway for downstream devices such as third-party switches, wireless access points, VPN concentrators, printers, IP phones, and security cameras to ensure only authorized users and devices can access the network. Optimized for network core and data center deployments with enhanced policy capabilities. Industry-leading 24x7x365 business continuity via a fully Distributed Switch Routing architecture. Extends the N-Series industry-leading investment protection. Flexible, high-performance Gigabit and 10 Gigabit connectivity options for ease of deployment and upgrade. The industry’s most granular multi-layer classification capabilities ensure on-time delivery and prioritization of today’s mission-critical applications. High-availability “always on” networking optimized for VoIP and VoD convergence. 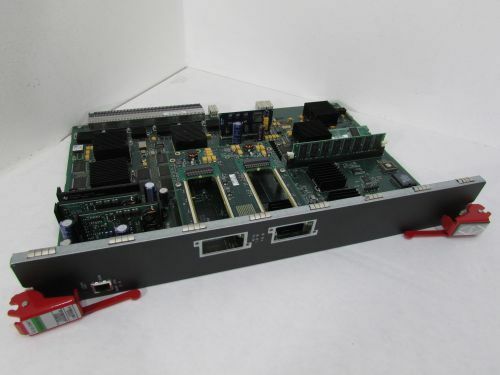 Enterasys 7KR4290-02 2 10G PORTS Matrix E7, N7, N5, N3, or N1 for Sale at Northwest Remarketing. This entry was posted in Enterasys 7KR4290-02 and tagged 10G Ports, 2 10G Ports, 7KR4290-02, Aggregation, alignment, blade, chassis, connectivity, Core, Diamond DFE, Diamond Distributed Forwarding Engines, distribution layers, Enterasys, Enterasys 7KR4290-02, enterprise networks, Ethernet, flow-based switches, Matrix E7, N1, N3, N5, N7, northwest remarketing, nwrusa.com, optic slot, policy, Routing, scalability, security, TRANCEIVER, VOD, VoIP, VPN, XenPak on May 16, 2014 by nwrusa.